Face recognition is one of the challenging problems which suffer from practical issues like the pose, expression, illumination changes, and aging. Plastic surgery is one among the issues that pose great difficulty in recognizing the faces. The literature has been reported with traditional features and classifiers for recognizing the faces after plastic surgery. 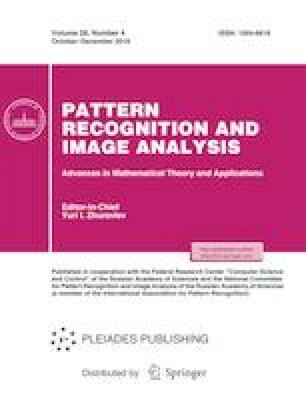 This paper presents an adaptive feature descriptor and advanced classifier for plastic surgery face recognition. According to the proposed feature descriptor, firstly an adaptive Gaussian transfer function is determined to perform Adaptive Gaussian Filtering (AGF) for images. Secondly, Adaptive Entropy-based SIFT (AEV-SIFT) features are extracted from the filtered images. Unlike traditional SIFT, the proposed AEV-SIFT extracts the key points based on the entropy of the volume information of the pixel intensities. This provides the least effect on uncertain variations in the face because the entropy is the higher order statistical feature. Further, the classification is performed with variations. In the first variation, support vector machine (SVM) is used as a classifier, whereas the second variation exploits the Deep Learning Network (DLN) for recognizing the faces based on the AEV-SIFT features. The proposed method classifies the plastic surgery face images with the accuracy of 80.15%, sensitivity of 19.75% and specificity of 95%, which are obviously better than the traditional features such as SIFT, V-SIFT, and Principal Component Analysis (PCA). Archana H. Sable, she received ME degree in computer Science and engineering from M.G.M’s College of Engg., SRTM University, Nanded. Her research interests are Image processing, Pattern recognizing and Computer vision. She is doing PhD (Thesis) in Computer Engg. from SRTM University, Nanded. Sanjay N. Talbar received his B.E and M.E degrees from SGGS Institute of Technology, Nanded, India in 1985 and 1990, respectively. He obtained his PhD from SRTM University, Nanded, India in 2000. He received the “Young Scientist Award” by URSI, Italy in 2003. He had Collaborative research programme at Cardiff University Wales, UK. Presently he is working as Professor and Head, Department of Electronics and Telecommunication Engg., SGGS Institute of Engineering and Technology Nanded, India. He has published 50 journal papers, 10 books, and more than 125 papers in referred National as well as International Conferences. His research interests includes Image processing, Medical Image processing, Multimedia Computing and Embedded System Design. He is a member of IEEE, IET, IETE, AMPI, ISTE, and worked on many prestigious committees in academic field of India. Haricharan Amarsing Dhirbasi, he received B.Sc (Mathematics), M.Sc (Mathematics), M. Phil. (Mathematics) from SRTM University, Nanded. He is SET (Mathematics) qualified. Hi’s research interests is in Study and application of Integral Transform in Image processing. He is doing PhD (Mathematics) from SRTM University, Nanded.